WARD 4! We Want to Hear From You. 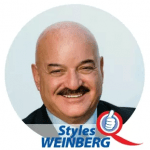 The Styles Q. Weinberg Campaign is very much about listening to others in our Ward & beyond. So, we want to hear about issues that matter to you. Please contact us at any time.